Valerius Licinianus Licinius was the son of Roman emperor Licinius. He nominally served as Caesar in the eastern empire from 317 to 324 AD while his father was Augustus. After his father's defeat by Constantine at the Battle of Chrysopolis, Licinius the elder was initially spared and placed in captivity at Thessalonica. However, within a year Constantine seems to have regretted his leniency and the former Emperor was hanged. 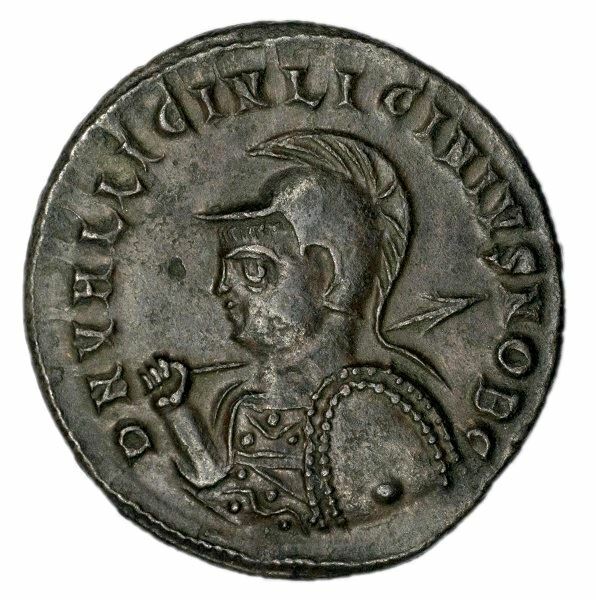 The younger Licinius, who was Constantine's nephew, also fell victim to the emperor's suspicions and was killed, probably in the context of the execution of Crispus in 326. (1) Licinius II 317-324 A.D. Reverse: VICTORIAE LAETAE PRINC PERP Two Victories standing facing one another, holding shield inscribed VOT PR on altar, C, T T.